APR Adjustable Wings - GT-1000 UNIVERSAL - MiataRoadster - Stay tuned with MiataRoadster! 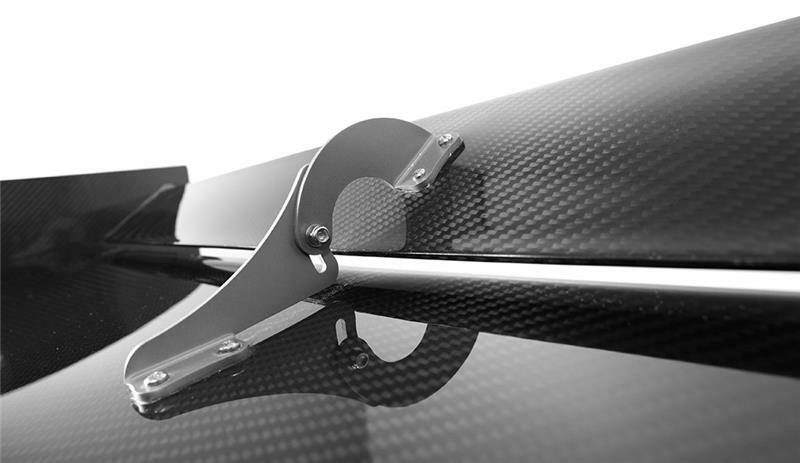 Representing the latest in ground-breaking aerodynamic performance, The APR Performance GT-1000 Adjustable Wing features a dual element 2D airfoil combination that is designed to produce extreme downforce for the most demanding racing applications. Dual element design allows less air separation at high angles of attack and reduced drag at low angles of attack. Angle-of-Attack (AOA) adjustment range runs from 10 to 52 degrees (relative to ground plane) on the secondary airfoil, with no stall at 52 degrees. 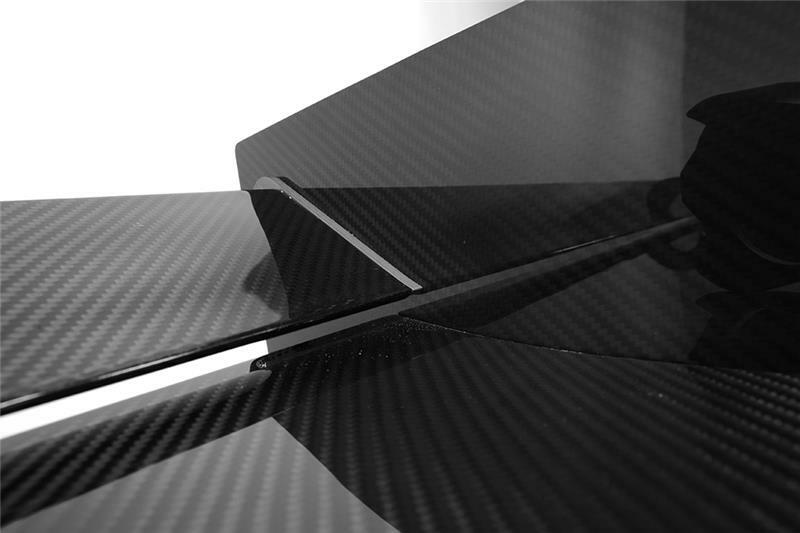 The GT Series airfoils are composed of lightweight and durable pre-preg carbon fiber composite materials for superior strength and low weight. 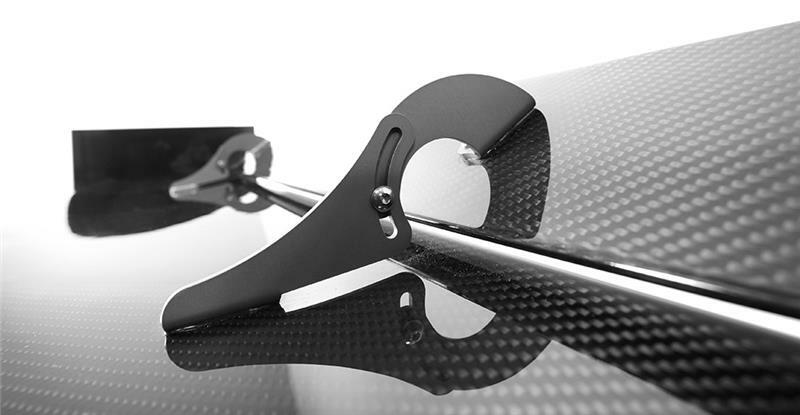 Do not mount the APR Performance GT-1000 Adjustable Wing assembly to a vehicle trunk lid —- the downforce levels can easily deform and damage even factory OEM steel trunk lids and create hazardous conditions. Pedestals are not available for the GT-1000. All customers will be required to fabricate their own, chassis-mount pedestals for their specific applications. 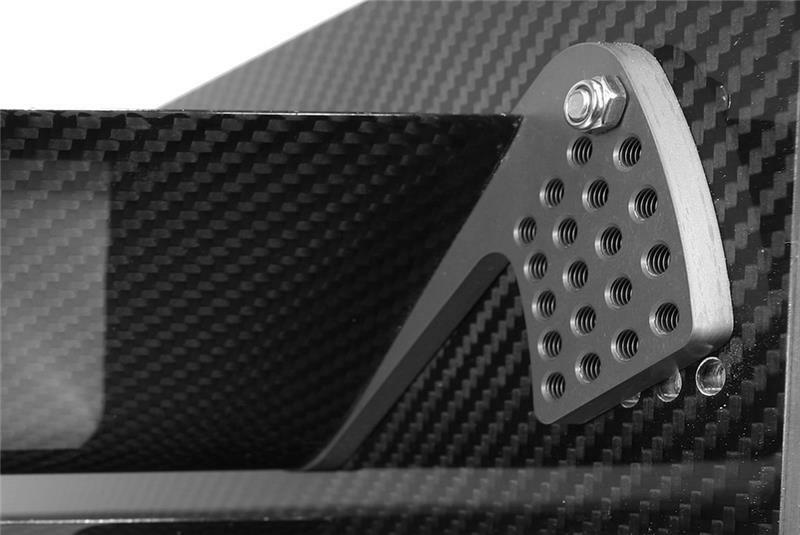 Although the upper brackets (the ones that are permanently attached to the bottom of the main airfoil) have a multitude of mounting holes, the main airfoil is intended to be installed and fixed at exactly one position. For proper installation, the side plates (aka “end plates”) are to be at exactly 0 degrees AOA relative to the ground plane. The main airfoil ends up being fixed at just under 5 degrees AOA (forward pitch) relative to the ground plane. 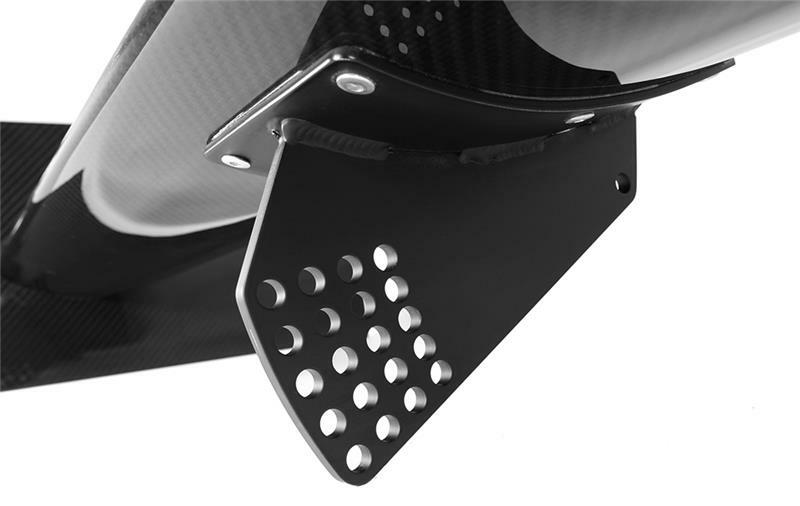 Modeled in 3D and validated using Computational Fluid Dynamics (CFD), the APR Performance GT-1000 Adjustable Wing is designed to adapt to a variety of widebody sports and touring car applications.